As a teacher, I am about to do the unthinkable. I’m going to complain about having a snow day. In fact, I’m going to complain about most of the snow days New York City has had over the last ten years. Hear me out. I have numbers. 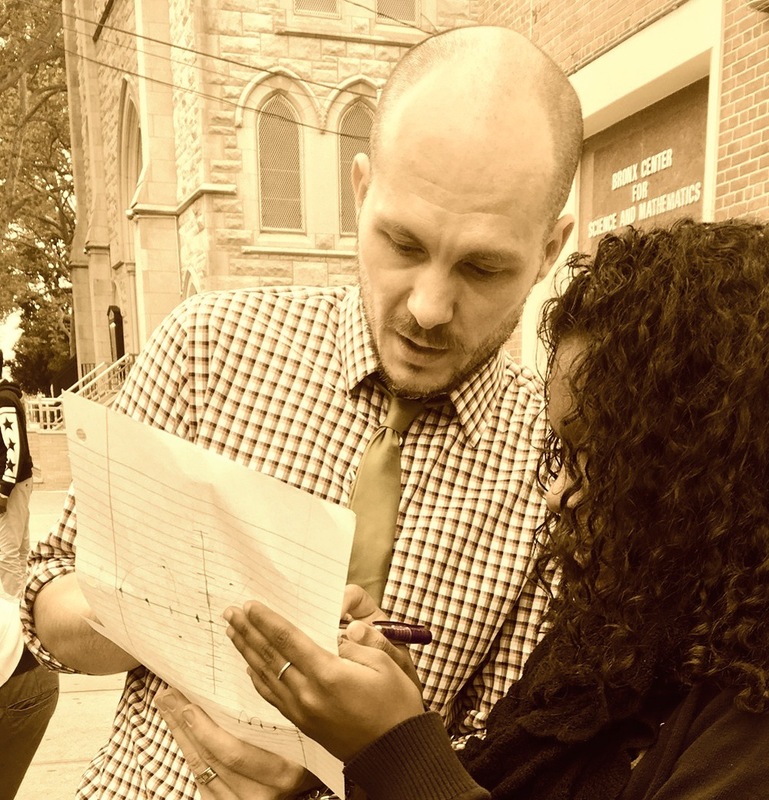 I started teaching in 2006 and I’ve taught in New York City my entire career. My first snow day was March 2, 2009, and while I don’t remember the 8.3″ of snow that fell, I do remember everyone’s reaction to it the next day. They were bewildered. While they felt it necessary to not be in school, everyone was surprised that the mayor decided to close the schools. This sort of thing never happened. Snow-day, shmow-day, New Yorkers went to school. Not being a native New Yorker, I had no idea what they were talking about. I was just thankful that I had the day off. I had no sense of history. The following year there were two snow days, one of which I didn’t know about until I arrived at school. My commute at the time was an hour and a half by subway and I left for school before Mayor Bloomberg made the call to close schools. Needless to say, that was the worst snow day ever. The following year, in 2011, there was another snow day. But this time it wasn’t just a regular day. No, no, no. Schools were closed despite the fact that the Geometry Regents Exam, an exam that’s only offered three times a year, was scheduled for that day. It wasn’t rescheduled. At this point, I started questioning the rarity of snow days that had been so boldly declared to me in 2009. They were becoming commonplace. Over the course of the next seven years, we had 6 snow days. This includes 2 during each of the last two years. I’ve enjoyed my snow days as much as anyone, but somewhere in the middle of being told that “our schools never close” back in 2009 and having 10 days off over the course of next nine years, I’ve grown weary. A lot of these days off have been unnecessary. So on Sunday night when Mayor DeBlasio declared that he was closing schools on Monday, I immediately rolled my eyes. While getting group texts from colleagues saying things like “Yesss!” and “Enjoy!”, I couldn’t help but sigh. Not at my colleagues, but instead because our society’s sensitivity to challenging circumstances had once again trumped rational decision-making. The forecast wasn’t terrible. I saw predictions of upwards to 6″ for the city. By the morning rush, the roads were mostly clear. But, hey, we gotta keep the babies safe! In the last 10 years, there have more snow days than in the previous 3+ decades combined. There were only five snow days between 1978 and 2001, but 12 since then. This is crazy. Having experienced snow days that had no business being snow days, I can’t help but connect this sharp rise in snow days to our society’s increasing level of worry…ABOUT EVERYTHING. Parents, administrators, teachers, students — everyone is guilty of wanting the easy way out of snow. We relish snow days and put excessive pressure on the mayor and his crew to keep the babies at home. Ironically, despite longing for snow days, we teachers are the first to complain about having no time. This is bigger than snow. The rise of urgent care centers around city is another example. Got a scratch? Go to urgent care! Stub your toe? Go to urgent care! Tummy hurt? Go to urgent care! Worry and immediacy run our lives. As a people, we are more sensitive than ever. This isn’t a bad thing. In many ways, our heightened sensitivity helps us gain a deeper understanding of each other. The world seems to be getting tougher and tougher to navigate — especially for young people. That said, a downside of this has been the fear of making everyone happy and stressing out when we can’t live up to this lofty expectation. The dramatic increase in snow days over the last decade is a manifestation of the city’s awareness of the backlash that they’ll get if they make the tough choice to keep the schools open. We’re overly sensitive and it’s keeping our kids out of school. Despite all of my bitterness towards snow days, there is evidence that closing school due to snow has no impact on student achievement. But is student achievement all that matters? I’m not sure. The unthinkable is done. Let me check the weather for my next day off. I’ve been brainstorming about the book(s) that I want to read with my algebra 2 students next year. I plan on integrating them into the class as I would a standard. Having never done any serious reading in my classes before, I have a lot to learn. Ideally, right now I’d like to read one during the fall semester and one in spring. To make for a good balance, maybe I could select one nonfiction and one fiction. Here are the options I’m considering right now. It’a subject to change based on further reading, suggestions, and a major problem: there are no authors of color on this list. 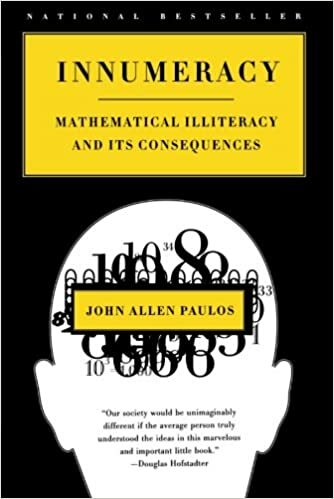 0.Innumeracy by John Allen Paulos This is the most obvious choice for me. I read it a few years back and remember being impressed with the accessibility of the mathematical ideas and it’s overall readability. Ironically, a few students mentioned to me at the start of the year that they read parts of it during a program last summer. Plus, I recently attended a talk by Paulos at Math for America that I think encouraged me even more to bring this book I to my classroom. 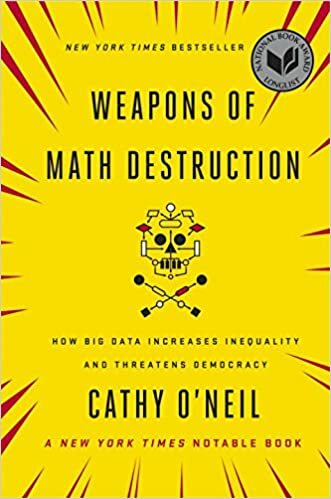 1.Weapons of Math Destruction by Cathy O’Neil. I read this two years ago. It’s timely and relevant. Centered around popular culture and things like social media and search engines, I think the kids could get into it. 2. 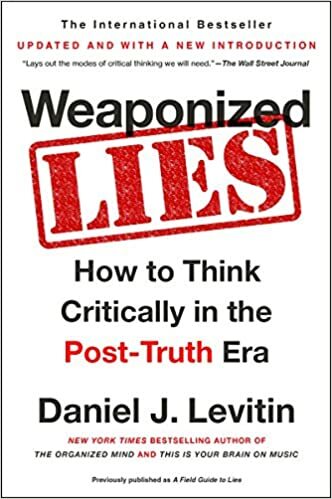 Weaponized Lies by Daniel J. Levitin. I came across this book recently, and while this is on my to-read stack, it shows a lot of promise. I’m excited to dig into it in the next couple of weeks and pass judgment. 3. 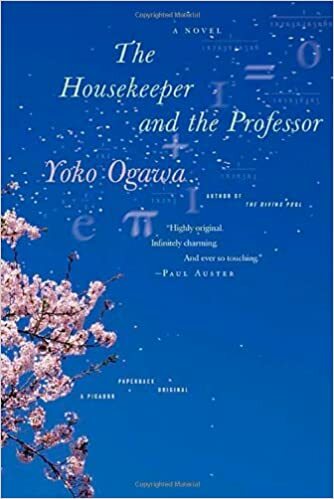 The Housekeeper and the Professor by Yoko Ogawa. Joel Bezzare has done a lot of work in his classroom around this book. I haven’t read it yet, but last year I did read the other book that he wrote a curriculum for, The Curious Incident of the Dog in the Night-Time by Mark Haddon. On the surface, The Housekeeper seems to be a tad more appropriate and interesting for my algebra 2 students. I look forward to reading it — and potentially stealing Joel’s curriculum!